On the 25th (Mon), take a tour by water with Boat Tours & Water Sports. Keep things going the next day: enjoy some diversion at Port Douglas Tennis Club, stroll through Wildlife Habitat Port Douglas, and then look for all kinds of wild species at Mossman Gorge. To find traveler tips, maps, where to stay, and more tourist information, use the Port Douglas trip itinerary builder site . Atlanta, USA to Port Douglas is an approximately 33-hour flight. Traveling from Atlanta to Port Douglas, you'll lose 15 hours due to the time zone difference. Traveling from Atlanta in November, expect Port Douglas to be much hotter, temps between 87°F and 72°F. Finish your sightseeing early on the 26th (Tue) so you can travel to Kangaroo Island. Kick off your visit on the 27th (Wed): look for all kinds of wild species at Raptor Domain and then identify plant and animal life at Seal Bay Conservation Park. Keep things going the next day: look for all kinds of wild species at Flinders Chase National Park. 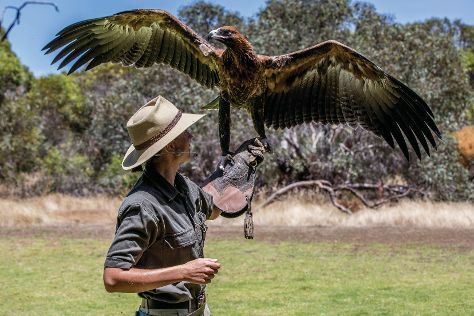 To see photos, ratings, maps, and more tourist information, read Kangaroo Island day trip planner. Getting from Port Douglas to Kangaroo Island by combination of shuttle, flight, and taxi takes about 9.5 hours. Other options: do a combination of car and ferry. Wrap up your sightseeing on the 28th (Thu) to allow time to travel to Sydney. 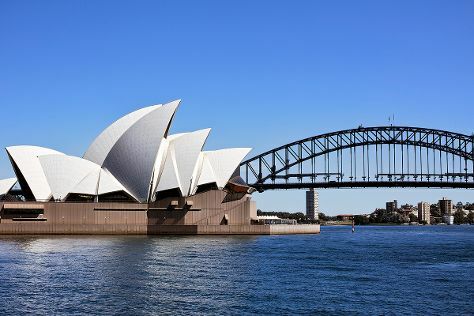 On the 29th (Fri), admire the natural beauty at Chinese Garden of Friendship, then tour the pleasant surroundings at Bondi Beach, then trek along Bondi to Coogee Beach Coastal Walk, and finally catch a live performance at Sydney Opera House. Get ready for a full day of sightseeing on the 30th (Sat): admire the natural beauty at The Royal Botanic Garden and then take a stroll through The Rocks. To find more things to do, other places to visit, where to stay, and tourist information, read our Sydney online visit planner . You can do a combination of taxi and flight from Kangaroo Island to Sydney in 5.5 hours. Alternatively, you can do a combination of car and ferry; or do a combination of taxi, ferry, bus, and train. In November, daily temperatures in Sydney can reach 77°F, while at night they dip to 62°F. Finish up your sightseeing early on the 30th (Sat) so you can travel back home.